The state of play: Ritti has been ITF president since 1999. The International Tennis Federation (ITF) is hosting its Annual General Meeting (AGM) in Dubai this week, bringing the event to the Middle East and West Asia for the first time. 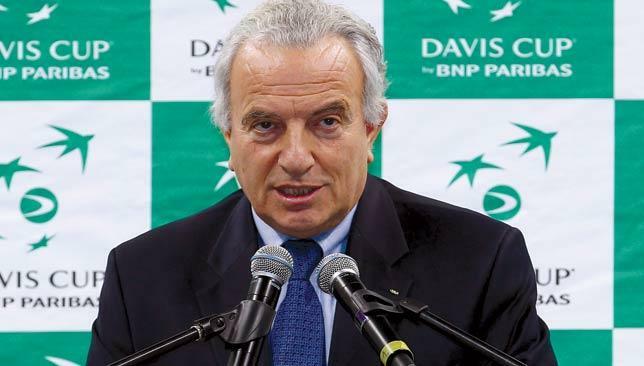 ITF president Francesco Ricci Bitti sat down with reporters yesterday to discuss all the pertinent matters in the sport and how he envisions the future of tennis. What are the leading topics on the AGM agenda here in Dubai? AWe are the organisation in tennis that takes care of development. So it is a very important item, then our major competitions, Davis Cup and Fed Cup, and governance. This is the first time that we will be dedicating an AGM to the change in governance rules and constitution. Speaking of the Davis Cup, a number of the top players have called for making the competition biannual rather than annual. What are your thoughts on that? Our position is very precise. We obviously don’t agree with this because the calendar of tennis is typically annual. If you take something away and fill it with something it’s going to be very difficult the following year. I understand that sometimes players are tired, the demand is very high for top players. I always laugh when they talk about short season versus long season. The season is a very relative concept because it’s very long for the people that get to the Sunday every week but there also people who they are free on the Monday. Players miss a lot of tournaments, but the noise only happens when they miss Davis Cup. Look at last weekend, a week after the US Open, the last grand slam of the season, only one important player was missing from the nominations, David Ferrer. So this is a sign of the tournament’s strength. We have three basic principles that we want to defend in Davis Cup. One is it being an annual event, the second is home and away ties, which is very important for the development of the game – 130 countries play Davis Cup. And the third is the nomination by the national federation. You mentioned recently that you think sets should be shorter, reduced to four instead of six. This was a free discussion and I said my personal view not as the president of the ITF. We tested this before in 2002 through an agreement with the ATP in small tournaments. At the end of the year the players said we don’t support this. Tennis now is becoming longer with all the rallies and the new equipment. The peak of attention, normally, for spectators is at the end of the set. So it would be better if you have five sets of four than three of six. This time last year, you were about to introduce the biological passport to counter doping. Do you think it’s been effective and do you think you’re doing enough in terms of anti-doping measures? Doping is a very difficult matter to discuss because in doping, normally the authorities who test for it are in a lose-lose situation. Because if you have a positive test, it means that you have a problem in the sport. If you don’t have any positive tests, people say you aren’t doing enough. What we believe is that the tennis programme is very good, especially at the top. We have now introduced a lot more blood tests. We believe that in terms of quality we are very high. Having said that, we have to be vigilant. In terms of quantity, we depend also on the national agencies but they aren’t targeting tennis much. They focus more on cycling and other sports. We need them to do more. Tennis ranks second in sports betting, behind football. Is there a concern over match-fixing? Yes of course. I am the coordinator in the working group in the Inter national Olympic Committee (IOC) for this matter and there’s a lot of concern. Not about betting itself, betting has existed in sport for the past 2,000 years, since the Olympics in Athens. Betting is not in itself the problem, it’s the corruption through betting. The IOC is paying a lot of attention to that. And we just created a system, called IBIS (Integrity Betting Intelligence System), of exchange of information. We have a Tennis Integrity Unit created in 2010 to take care of that. Tennis has a weakness because it’s very easy to bet on everything. The scoring system is very favourable to betting. It’s very complicated. How would a country like the UAE develop local talent? The key for development are the three C’s: Court, coaching and competitions. Courts, I don’t think that’s a problem here. Coaching, you have to start importing them from somewhere else but then you have to develop local coaches because that creates stability. And then a system of competitions. You are already very strong in the top. But I am talking about the juniors and the small professional tournaments. If you have a pyramid like that, it makes the transition for the players easier. Looking to the future, do you ever see a grand slam being played outside the four countries – Australia, France, England, United States – that are hosting them right now? If you want my honest answer, no. A grand slam isn’t just only a matter of money or facilities. It’s a matter of history. It’s more a brand. The grand slam tournaments have justified this dominant position with great investment, not only in history, in facilities, in spectator services… They are very profitable operations, they invest the money back in tennis, so this makes them unique. This doesn’t mean that some people don’t have the money to put in the game to make big events but a grand slam in itself, it’s something that’s not matched by only money or new ideas. I believe it’s very difficult at the moment to foresee what you’re suggesting. 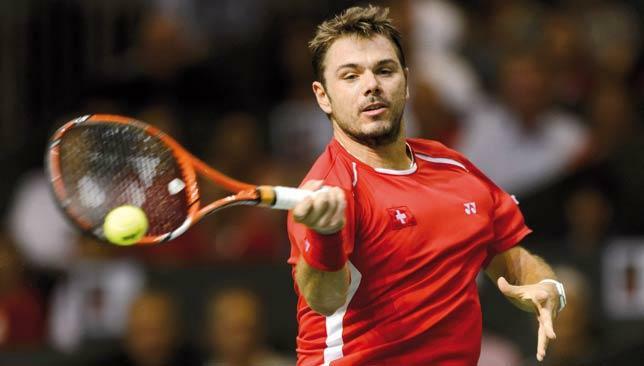 What are your thoughts on the International Premier Tennis League which will be stopping by Dubai later this year? There are many ideas. But I believe this doesn’t affect us. There are different ideas, they are in general promoted to intercept money that is in the market. But I believe from a sports point of view, they are different proposals. It could be interesting but I’m not sure it will have an impact on what is the real strength of the sport. In my opinion, the real tennis is concentrated on the grand slams, Davis Cup, Fed Cup, and the top tournaments of the tour. Those are the core. But do you welcome such an idea as the IPTL? I’m curious to see, more than welcoming it. To see if it can develop something different in tennis. 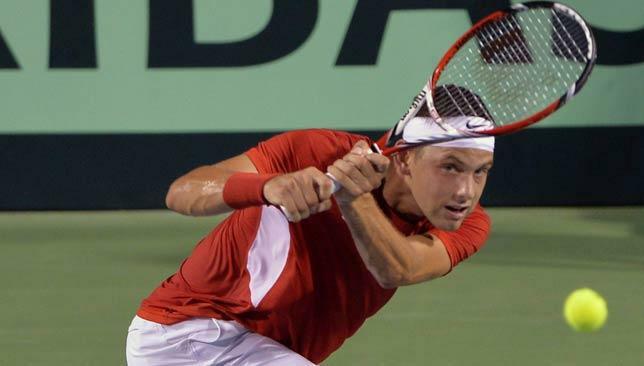 Former champions Serbia will remain in the World Group of the Davis Cup after Filip Krajinovic secured a 3-2 win over hosts India yesterday in a rain-interrupted play-off tie. The 22-year-old Krajinovic, ranked 107 in the world, breezed past No153 Yuki Bhambri 6-3, 6-4, 6-4 in the decisive reverse singles that had been halted by bad weather on Sunday. The Serbian, who was leading 6-3, 4-4 at the rain break, needed just an hour to wrap up the match and help his depleted team retain their place in next year’s elite 16-nation World Group. Serbia – the 2010 champions – were without world No1 Novak Djokovic, Janko Tipsarevic and Viktor Troicki for the play-off tie in Bangalore. Djokovic pulled out citing fatigue and family reasons after being stunned by Japan’s Kei Nishikori in the US Open semifinal. Tipsarevic and Troicki were injured. The Serbs were in the play-offs for the first time since 2007 after they lost to Roger Federer’s Switzerland in the World Group first round in February. Serbia had won both the opening singles on Friday before India fought back to draw level by winning the doubles on Saturday and the first reverse singles through Somdev Devvarman on Sunday. Tired: Wawrinka withdrew from the Metz tournament citing fatigue. What did they want him to do? Send flowers? The week before, the Hong Kong tournament had a similar reaction to Eugenie Bouchard’s late withdrawal from their event. “To say she is tired and cannot turn up because she is fatigued is poor form. Bouchard and her manager asked for a top-10 bonus and after reaching the top 10 she did not honour her commitment,” said the tournament director. He also noted that all the tournament posters featured Bouchard and that they feel let down. Disappointment is a natural reaction when a star player pulls out of tournaments, but calling them out like that in public only makes one seem unprofessional. And also makes it very doubtful that those players will ever consider coming back to the tournament. This isn’t like when Serena Williams pulled out of Dubai last year – which I criticised her for. She had come to Dubai, did press, told everyone she was feeling great and ready to win the title, then did a complete U-turn the next day and withdrew moments before her opening match against Marion Bartoli. That was just blatant lying and potentially a ploy to get her appearance fees. But what Wawrinka and Bouchard did was normal and common behaviour expected from exhausted athletes who are approaching the final stretch of a gruelling season. Knowing how to deal with 11th-hour withdrawals should be a given for all tournament directors and if they feel there was any legal wrongdoing, they should handle it behind closed doors with the players’ agents. Back in 1997, a 15-year-old unranked Croat, Lucic-Baroni made a stunning run at the Croatian Open – her first ever WTA event – to win the title. She won the title again the following year and was a semifinalist at Wimbledon in 1999. She then went from teen prodigy to obscurity (due to family problems, financial and health woes) and only now, as a 32-year-old, is she finding her winning ways. After making the fourth round at the US Open this month, she beat Venus Williams to win the title in Quebec City. You can’t make this stuff up! Lucic-Baroni now holds the record for the longest gap between titles in WTA history. Her title in Quebec comes 16 years and four months after her previous trophy-winning run at the Croatian Open in 1998. The previous mark was held by Japan’s Kimiko Date-Krumm, who had 13 years and one month between her trophies in 1996 at San Diego and in 2009 at Seoul. Spain’s 18-year stay in the Davis Cup World Group came to an end as they lost their first clay tie since 1999 by losing to Brazil in the playoffs. That’s what happens when Rafael Nadal, David Ferrer, Feliciano Lopez and Fernando Verdasco turn their backs on their national team.